Convex and round mirrors are the perfect choice for hanging over a fireplace. Introducing the curved, circular shape visually breaks up the angles and straight lines of the chimney breast, hearth and mantlepiece. Allow at least 5-10cm from the top of the frame to a ceiling cornice, or 5cm to a picture rail. the frame should not overhang the ends of the mantelpiece shelf. Large Cavetto convex mirror in waxed black finish. Image credit: Gordon-Duff & Linton. Large Lucca convex mirror in silver leaf finish. Image credit: Lucy Swallow Interiors. Large Lucca convex mirror in bespoke lacquered finish. Image credit: Hyde House Interiors. 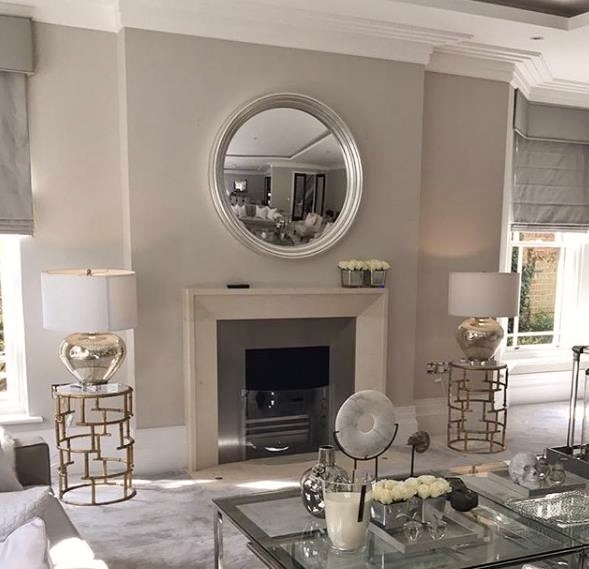 Convex and round mirrors over a fireplace are a popular choice as an alternative to the traditional overmantle mirror. Both for the contrast in shape, as mentioned above and, in the case of a convex mirror, the way in which the whole room is captured in the reflection. 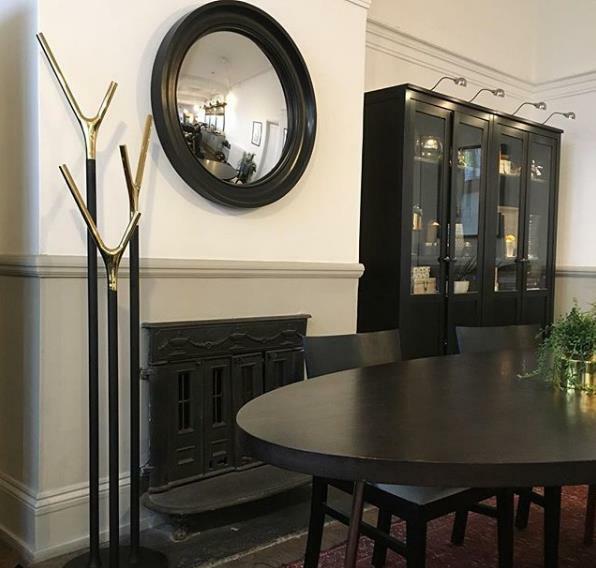 If you would like more tips and ideas on hanging mirrors, you may be interested in reading this blog post also – Get Curve Appeal: with a Round Mirror!